Electronic Arts is continuing to reap the benefit of its position as the leader in sports video games, as both its FIFA Soccer and Madden NFL produced strong results on a several platforms in its just completed quarter. EA announced that over 50% of those who play Madden NFL 18 engaged the “Longshot” story mode, which was the first narrative of its type in the 29-year history of the football series, through the end of its fiscal second quarter. In addition to that, players of Madden Ultimate Team have increased by 25% from the same period one year ago. FIFA Mobile has grown its number of unique player base to over 113 million, and other sports games such as Madden and NBA Live have reached those numbers as well. The numbers prove that EA Sports fans have gravitated to its games across different platforms and are coming back as EA is offering new content beyond what is part of its initial games. CFO at EA Blake Jorgensen said through a prepared statement that the company noticed a significant shift digital in its sports titles and strong growth for Ultimate Team. The CFO added that the EA’s sports title have again show the strong value in delivering a dependable and stable performance. FIFA and Madden thrive on EA’s live operations, or service in which players are kept engaging with the same games time and time again, such as with Ultimate Team mode of the soccer and football titles. This is a strong business model as it is able to keep players returning and spending. However, it must be done correctly. Players will only return if content is engaging, and because of that EA has invested campaigns that are story-based for both FIFA and Madden. EA beat estimates for revenue and earnings in its fiscal second quarter. 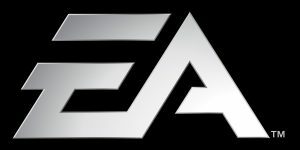 Analysts were expecting EA to post adjusted profit for the quarter of 54 cents per share with revenue of $1.18 billion. However, EA posted 62 cents in adjusted earnings per share with revenue of $1.179 billion. In trading afterhours, EA stock was down 2.9%. CEO of EA said the second quarter was strong for the company with players across the globe captivated with its new sports title, top mobile games, and growing competitions in esports. The services business for EA has been growing from existing games like Battlefield 1, Star Wars, The Sims and FIFA 17.